You’ve always dreamed of stepping onto your own deck and gazing into the peacefulness of your backyard. Before you grab some timber and start hammering, however, you should know that deck-building is quite complex. Here are just a few tips for getting started. Even if you wind up adjusting your plans later, it always helps to have a set of blueprints in front of you. They’ll keep you on track in terms of designs, measurements, materials and overall vision, and they can also be a quick reference point if your contractors need a specific piece of information. Deck spacers are convenient little tools that can be used to keep your boards at precise distances as you build around them. 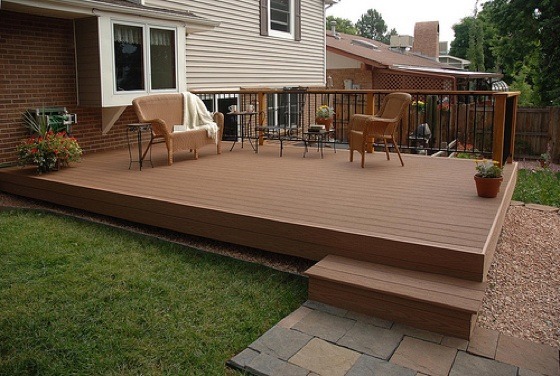 Versadjust pedestals can help you both elevate and stabilize your deck. While neither of these things are uncommon, you might not have heard of them unless you did your research on deck-building. Other tricks are the same way. Creating a budget is one thing. Actually sticking to it is another. If you already know that you’re an impulse shopper who tends to upgrade home improvement projects as you go, give yourself some wiggle room in your budget right away. This will keep you from overspending <I>too</i> badly, and it will still allow your imagination to take flight and bring your ideal deck to life. Unless you’re a contractor yourself, there’s a good chance that the professionals know more than you. Listen carefully to their assessments, and heed their warnings if they say that something will tilt, erode, wear down or not have the proper amount of support. You don’t want to take chances with your deck. Follow the advice of the experts. These are just a few tips for building your own deck. It doesn’t matter if you’re a complete beginner or a certified handyman; building a deck is complicated, and it will take time, money, energy and lots of advanced planning to be successful. Good luck!